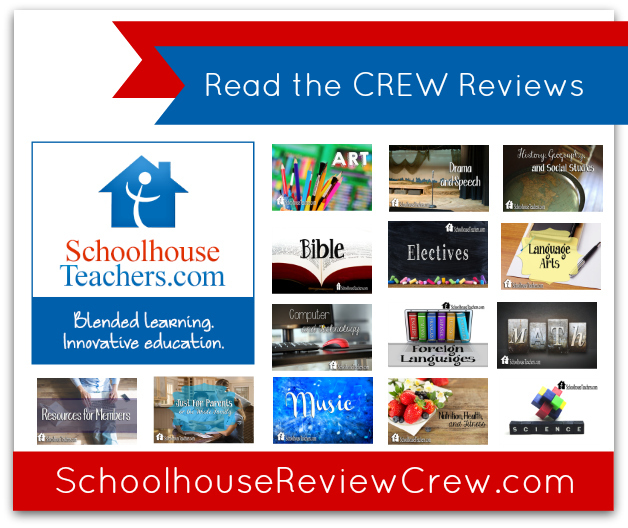 Members of the Schoolhouse Review Crew were recently given a full Yearly Membership Option to SchoolhouseTeachers.com for review. SchoolhouseTeachers.com is a homeschool online learning experience unlike any other, brought to the homeschool community by The Old Schoolhouse® Magazine. Courses are listed by subject or grade level. Meet the Teachers – read a short biography and what classes they teach. FREE planners and monthly bonus eBooks. Encouragement and much much more. Join monthly for $12.95 each month or save over 10% on a one-year membership for $139. One fee serves your entire family. Anyone living in your home can use the site 24/7. You can cancel anytime. Special pricing is available for small groups and co-cops. 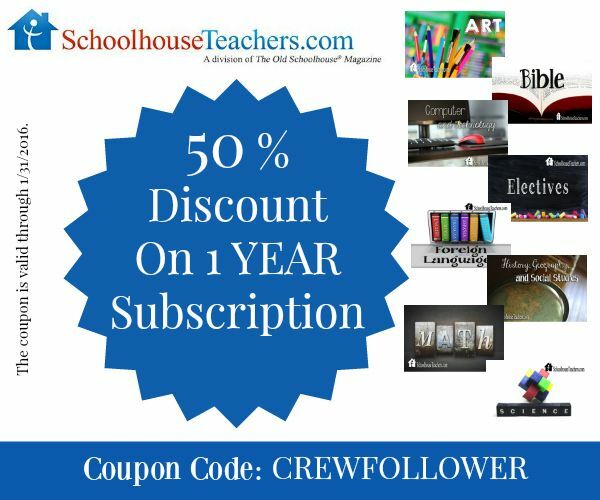 Price includes all available teacher interaction and lessons, hundreds of e-books, the Schoolhouse Planners, and other downloadable teaching and learning products. Remember, you don’t need a membership for each child; one membership serves your entire family! From today until the end of the month we have a 50% discount coupon code for our followers. In addition to the daily, weekly, or monthly lesson plans offered, members of SchoolhouseTeachers also receive many extras — Digital back issues of The Old Schoolhouse® Magazine, all 5 of the popular Schoolhouse Planners, recordings of the Schoolhouse Expos, free monthly eBooks and TOS supplements, and membership to Applecore, an online homeschool tracking software, among them.